Are semester deadlines closing in? 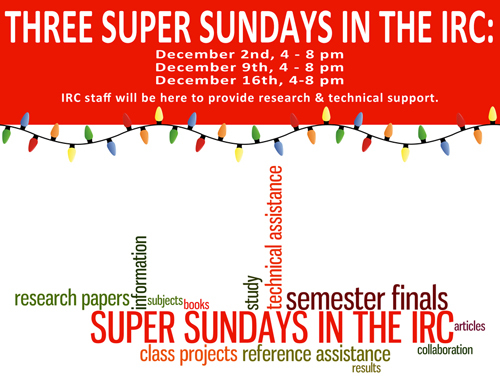 This IRC is extending library hours on three Sundays prior to the end of semester. This entry was posted in Displays on May 1, 2012 by jean.